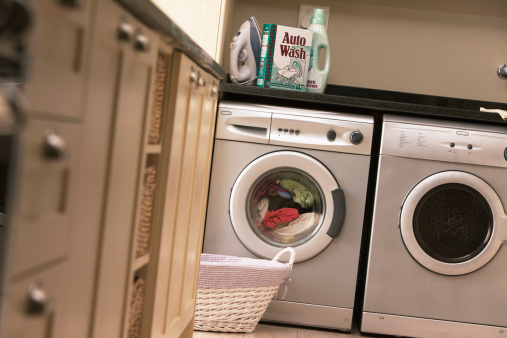 Laundry drying cabinets have been popular in European countries for years, but are now becoming more common in U.S. homes. The laundry drying cabinet is a ventilated closet space with an energy-efficient heater located on the bottom for drying clothes that are not meant to go into a tumble dryer. Building your own laundry drying cabinet can be an alternative to letting your clothes air dry. Place a wardrobe in your laundry room near an outlet and a floor drain. 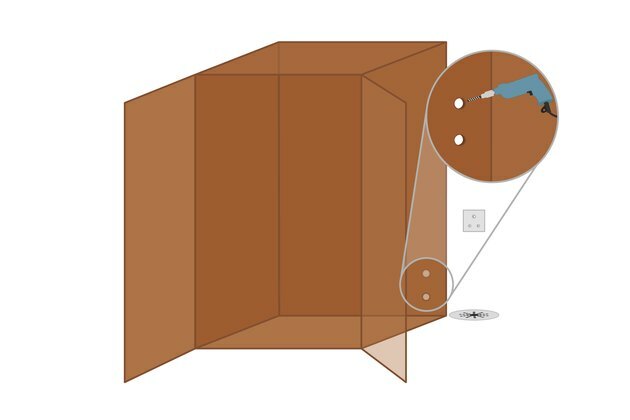 Drill two holes in the back of the wardrobe with an electric drill and a drill bit. Set a dehumidifier in the bottom of the wardrobe. 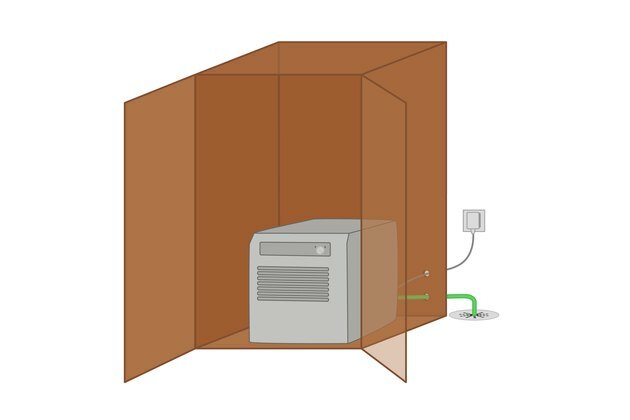 Make sure the dehumidifier is centered and is not touching the sides or door of the wardrobe when it is closed. Send the plug of the dehumidifier out the hole in the back of the wardrobe and the water run-off hose out the other. Run the hose to the drain in the laundry room floor. Attach a metal rack to the wardrobe about 6 to 8 inches above the dehumidifier using hanging hardware and screws. 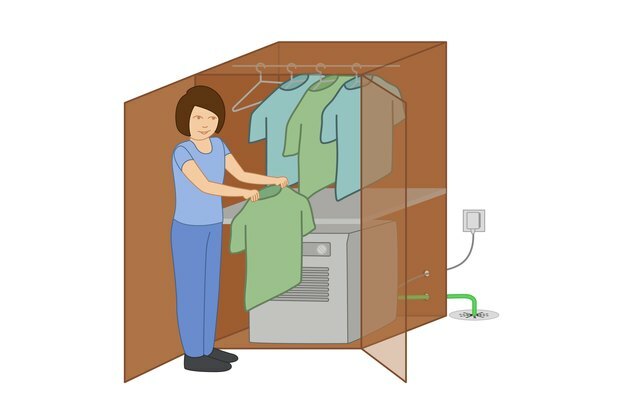 The metal rack will prevent any clothes from falling on and covering the dehumidifier, which could cause a fire hazard. 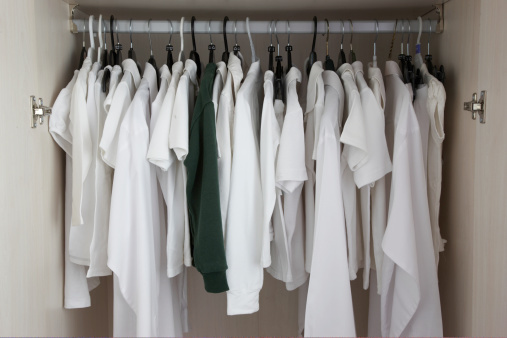 Place damp clothes on hangers, and hang them from the clothes bar in the wardrobe. 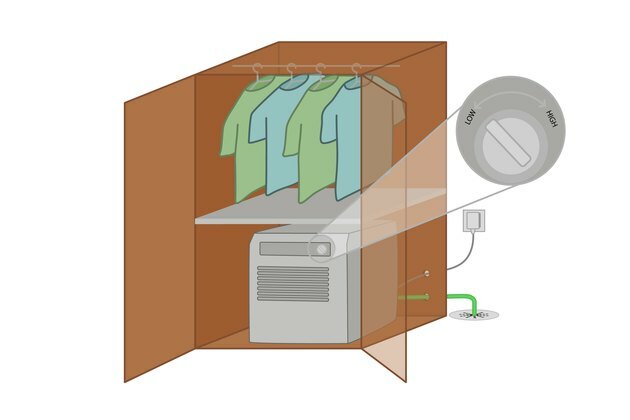 Turn the dehumidifier on to a low setting to test the humidity level needed to efficiently dry your clothes. Close the wardrobe door. 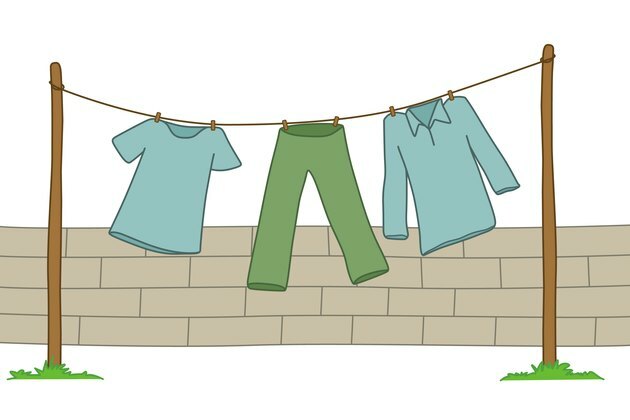 Check the dryness of your clothes in a few hours. If they are still very damp, turn the dehumidifier up. Check the hose to make sure it is draining properly.